It’s a new year, which for many Bay Area homeowners means it’s time to start thinking about their next remodeling project. 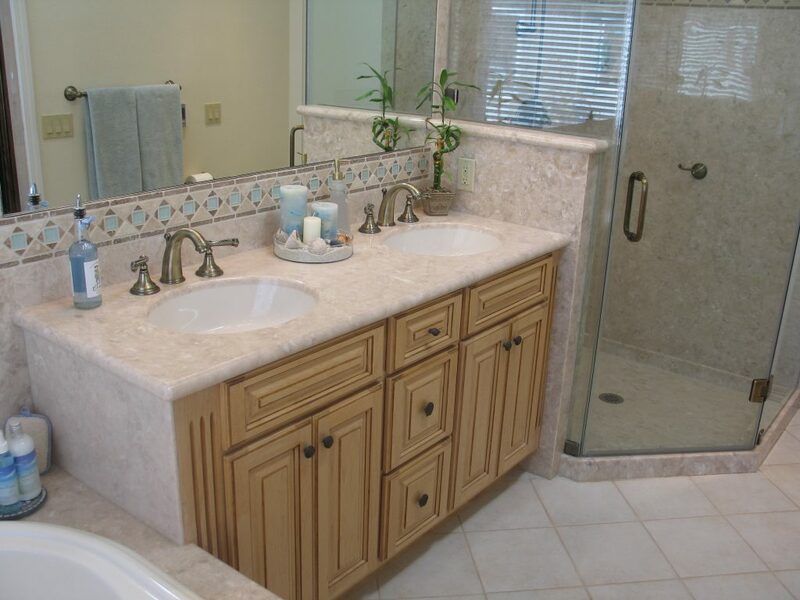 While there are several areas of the home to consider remodeling, an ideal place to start is the bathroom. Since the bathroom tends to be one of a home’s smallest spaces, it’s typically more affordable to renovate than larger areas like the kitchen. However, along with the kitchen, it’s considered one the most lucrative spaces to remodel in terms of increasing home resale value. 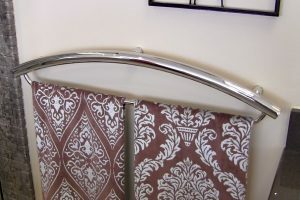 Furthermore, since it’s statistically considered the most dangerous room in the house (due to the increased chances for falls and other accidents), remodeling provides an opportunity to improve safety. However, while bathroom remodeling offers many benefits, it can be a surprisingly complicated endeavor, which is why a successful result depends on a careful approach. To gain further insight into the process, we’ve asked six Diamond Certified Expert Contributors to weigh in on a few key areas. Set up your professional team (including your contractor and designer). Complete all planning during the design phase, including selection of fixtures and materials. Despite being a small space, a bathroom contains more fixtures than almost any other room in the home (bathtub, toilet, sink, faucet, countertop). Since the majority of these fixtures are plumbing-related, a bathroom remodel provides a great opportunity to swap out old, water-guzzling fixtures with high-efficiency ones. For example, replacing an older toilet with a modern “low-flow” model can reduce water consumption by more than a gallon per flush, which adds up to a substantial savings over time. Of course, toilets and sinks aren’t the only fixtures to think about when remodeling a bathroom. 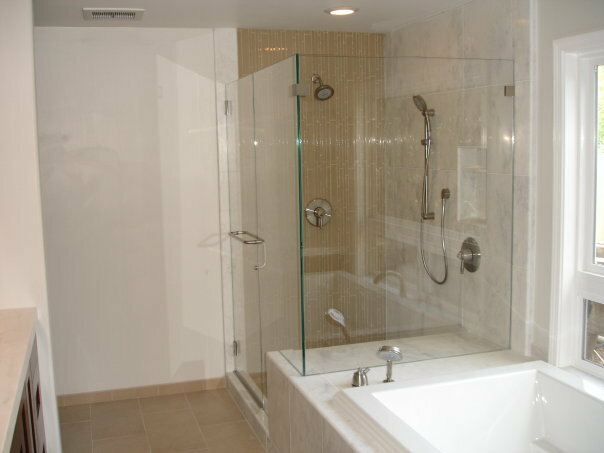 According to Joe Matthews of Schicker Luxury Shower Doors, Inc., one of the most critical fixtures to address is the shower enclosure. “In today’s market, there are many shower design options to choose from,” he says. “For example, homeowners have the choice of going with a framed or frameless enclosure. While a framed enclosure is a more conventional option, a frameless enclosure is a good choice for a modern and/or minimalist design.” Mr. Matthews says it’s also important to consider door design and orientation, with options including both swinging and sliding doors. Another non-plumbing fixture to consider replacing is the exhaust fan. When choosing a new fan, David Cook, owner of Cook’s Kitchen & Bath, Inc., stresses correct sizing to ensure optimal performance. Since this requires some complex math, you may need to consult a professional. 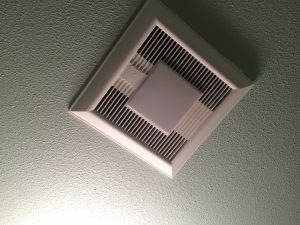 Besides getting the right size fan, Mr. Cook recommends considering optional features such as LED lighting, motion sensors, variable speeds, delay timers and heat. While fixtures are crucial for a bathroom remodel, you shouldn’t overlook the importance of basic construction materials like tiles and baseboards. When it comes to retiling your shower, Oscar Soltero of Stone & Tile Impressions, Inc. recommends choosing porcelain tiles. “Porcelain has come a long way since it was first introduced as a tiling material, and it’s now available in many of the same colors, shapes, and sizes as its natural counterparts,” he explains. Besides requiring less maintenance than natural stone, porcelain tiles are specifically engineered to minimize moisture absorption, which makes them ideal for wet areas like showers. A final consideration for bathroom remodeling is the future. As part of an increasing trend, many older homeowners are choosing to “age in place” at home instead of relocating to a senior community or convalescent facility. If this is relevant to your circumstances, take the opportunity to make your bathroom a safer and more accessible environment. To learn more about bathroom remodeling and other topics, visit our Diamond Certified Expert Reports at experts.diamondcertified.org.